The “sell-by” and “best-by” dates on milk cartons may soon become more meaningful and accurate. All along the milk production path — from farm to processing plant to consumers’ refrigerators — some spore-forming bacteria can survive even the best pasteurization regimens or the cleanest dairy production plants. The bacteria can subsequently germinate and spoil milk. Ariel Buehler, Ph.D., the paper’s lead author, said members of the spore-forming bacillus, Paenibacillus and Viridibacillus genera are ubiquitous throughout nature. They have been found throughout the dairy chain, including in farming soil, silage, feed, cow bedding material, milking equipment and in raw and pasteurized milk. Additionally, the bacteria can survive harsh heat, desiccation (dryness) and sanitizers. When they have the opportunity to grow in pasteurized milk, they can cause off-flavors and curdling. “This is a considerable problem. 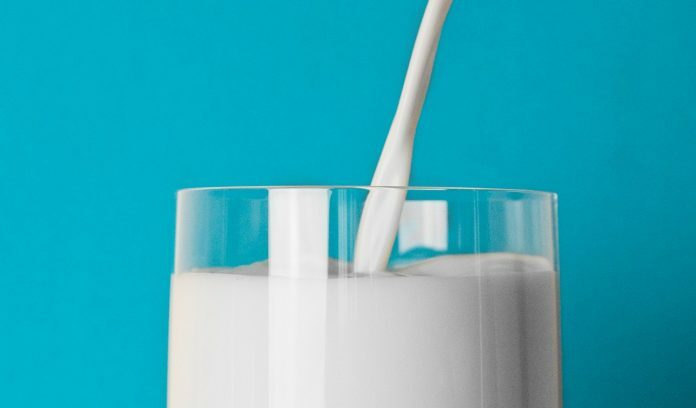 If we can reduce the spoilage from spore-forming bacteria – by reducing their presence and by controlling their outgrowth — we can see the shelf life for milk improve from two weeks to perhaps a month,” said Nicole Martin, research support specialist at Cornell’s New York State Milk Quality Improvement Program laboratory. Spores can be reduced in microfiltered milk products, which is currently an emerging trend in the dairy industry, and the research finds that temperature is a key. The team created a new predictive model that showed refrigerated milk at 39.2 degrees Fahrenheit dramatically lowers the mean concentration of spore-forming bacteria. By decreasing the refrigeration temperature from 42.8 degrees to 39.2 degrees, only 9 percent of milk half gallons were spoiled after 21 days, compared with 66 percent of half gallons held at the higher temperature. Wiedmann imagines a day — perhaps in five to eight years — when consumers find no dates stamped on milk containers.